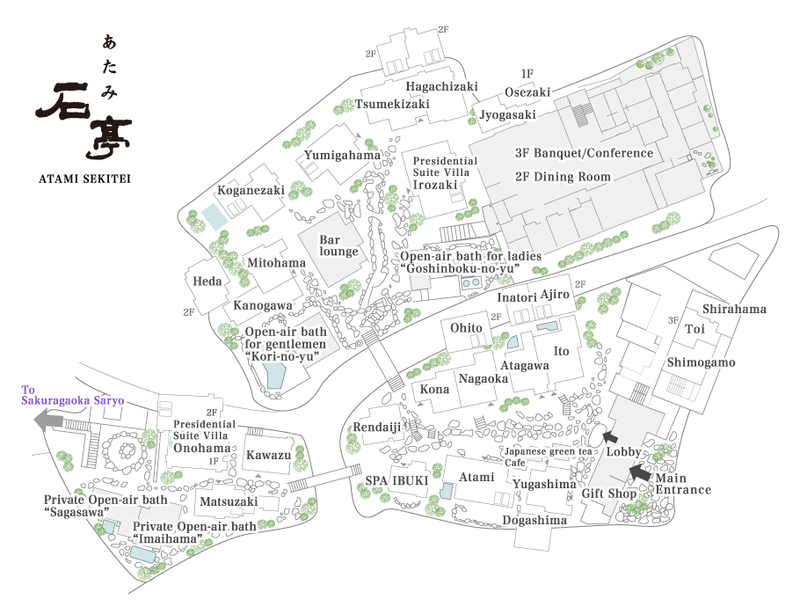 All our ryokans consist of several villas surrounded by Japanese gardens. 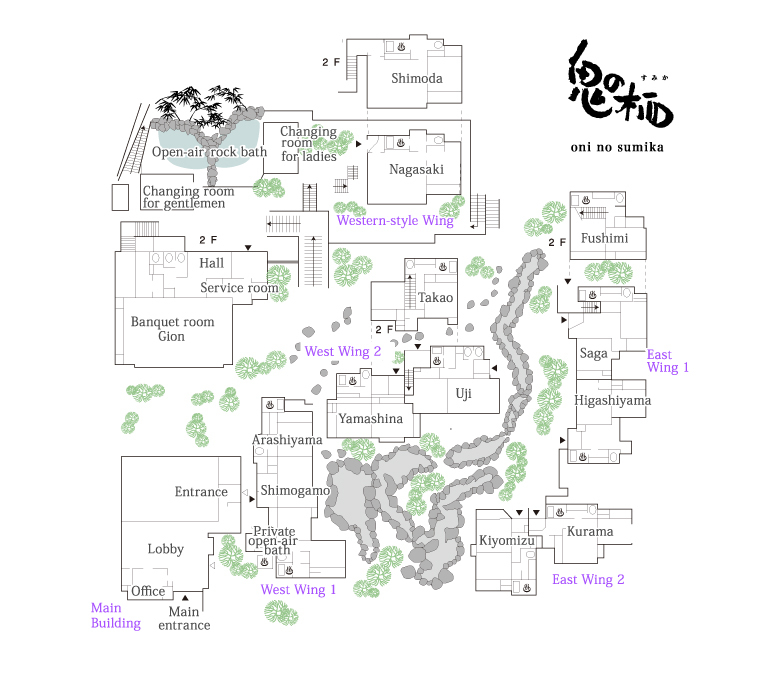 Each villa, containing a couple of suites, is built of wood in Sukiya style, a Japanese traditional architectural style originally for teahouse. 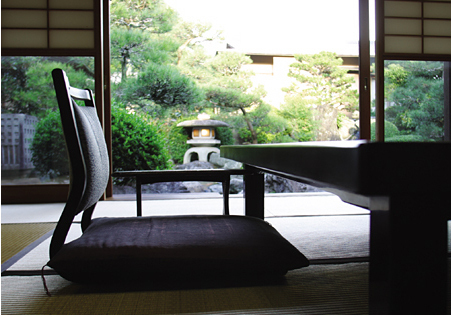 Our guest rooms are all suites of various shapes and sizes, basically consist tatami mat floor crafted from rush grass, paper sliding fusuma doors, paper shoji screens, a low zataku table, legless zaisu chairs with zabuton cushions, and an ornamental tokonoma alcove. 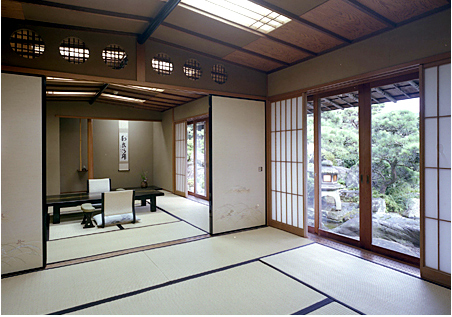 Room size is measured by jo, an area measuring unit corresponding to the size of a tatami mat, approximately 3 feet x 6 feet. 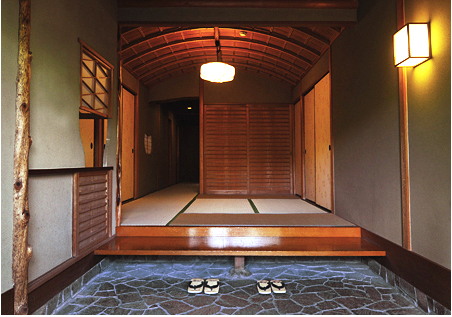 After taking off shoes at the foyer and entering, Sukiya style designed room with a garden view delights guests' eyes. 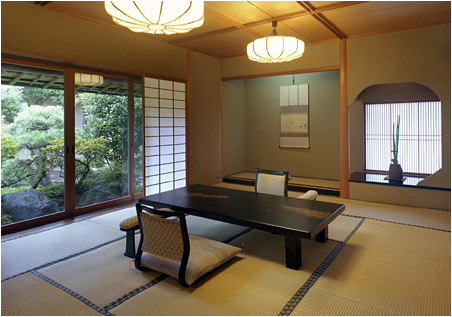 Japanese rooms are flexibly used as a living room, dining room, and a bed room. The staff will make a Japanese-style bed futon by spreading out a cotton mattress and a feather comforter on the tatami mat floor for your restful night's sleep. 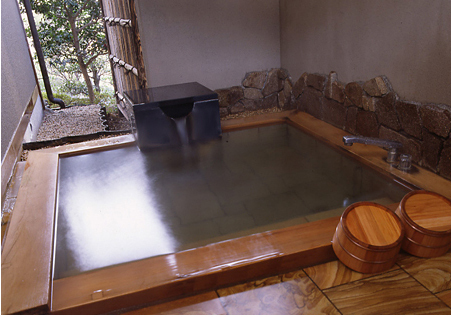 Rooms with Western-style beds are also available at Atami Sekitei. We recommend both male and female guests to change into Japanese traditional cotton robes yukata after taking a bath. 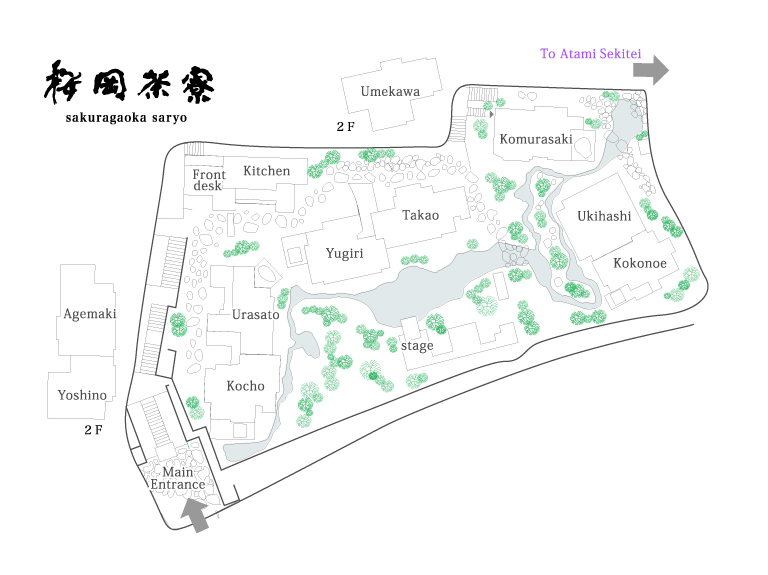 Guests in yukata may walk around in the beautiful garden, have dinner, and even slumber in bed. Brightly-patterned yukata are available for ladies. 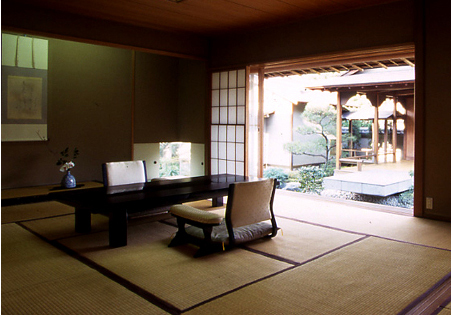 Why not try wearing yukata in this relaxing atmosphere! How to wear yukata is very easy, only three steps.